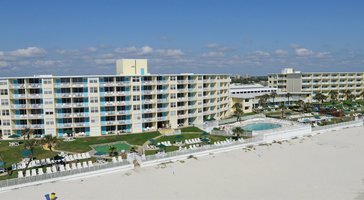 Take in fabulous ocean views on your balcony. 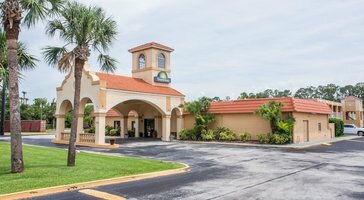 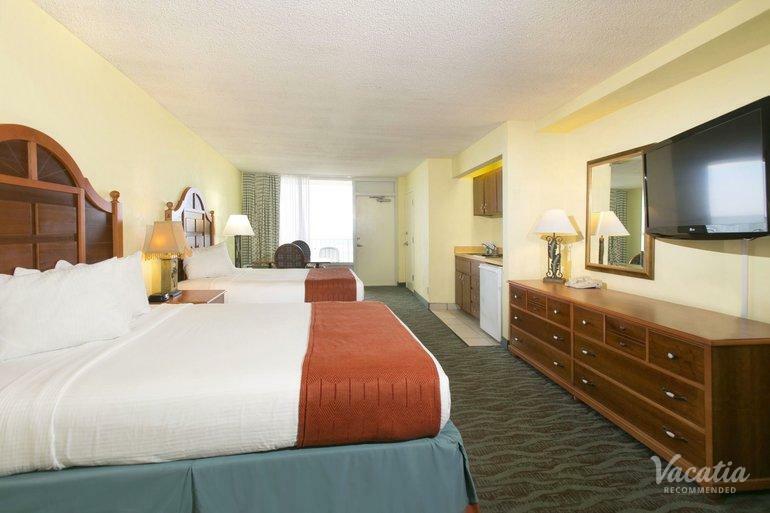 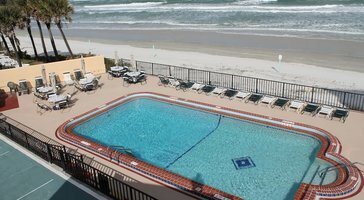 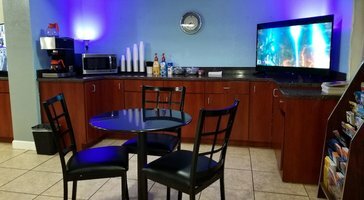 Studio oceanfront vacation rentals at Perry's Ocean Edge Resort provide you with a comfy home base in Daytona Beach. 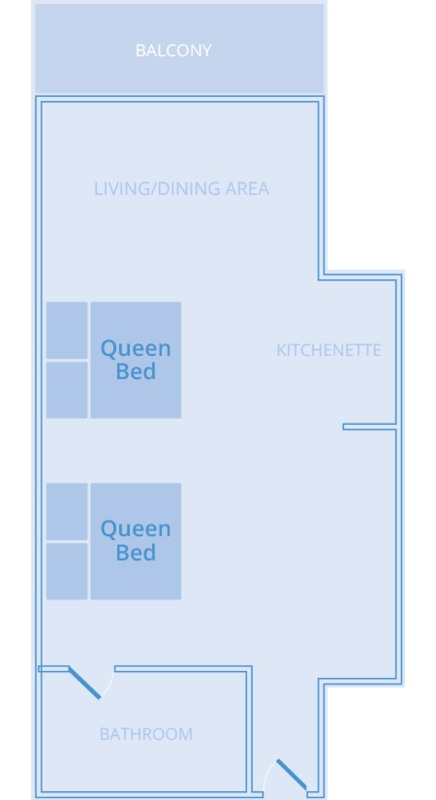 These condo rentals sleep 4 and include two queen beds.